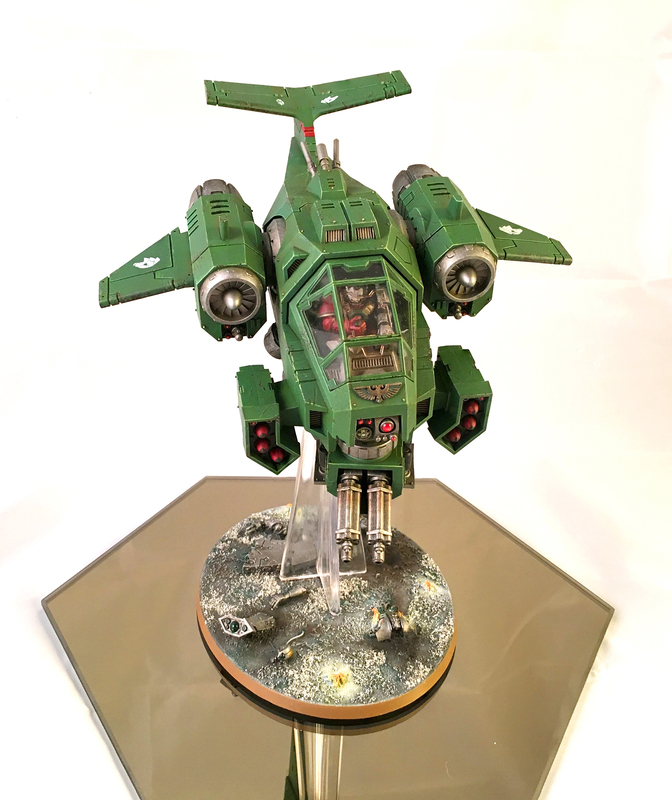 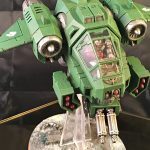 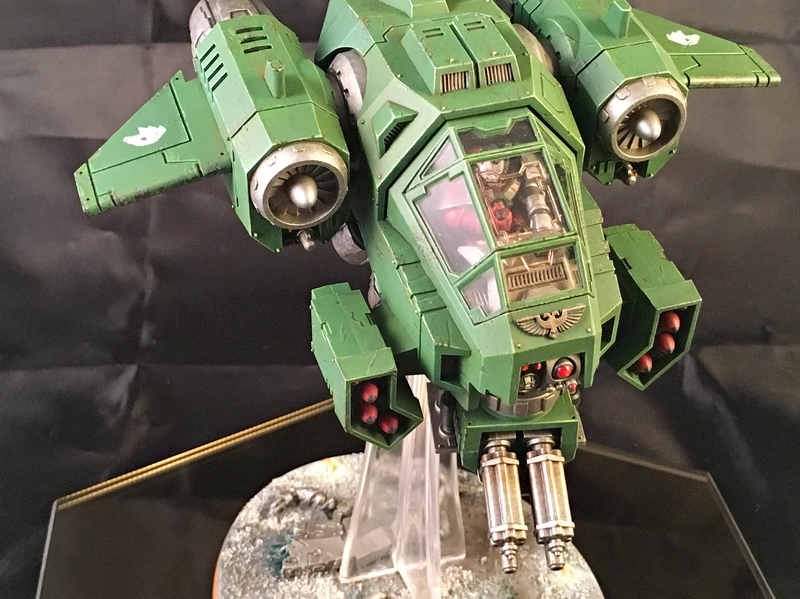 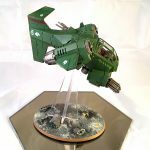 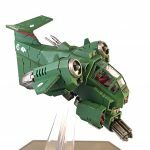 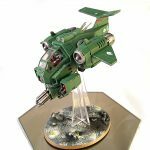 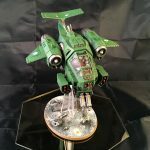 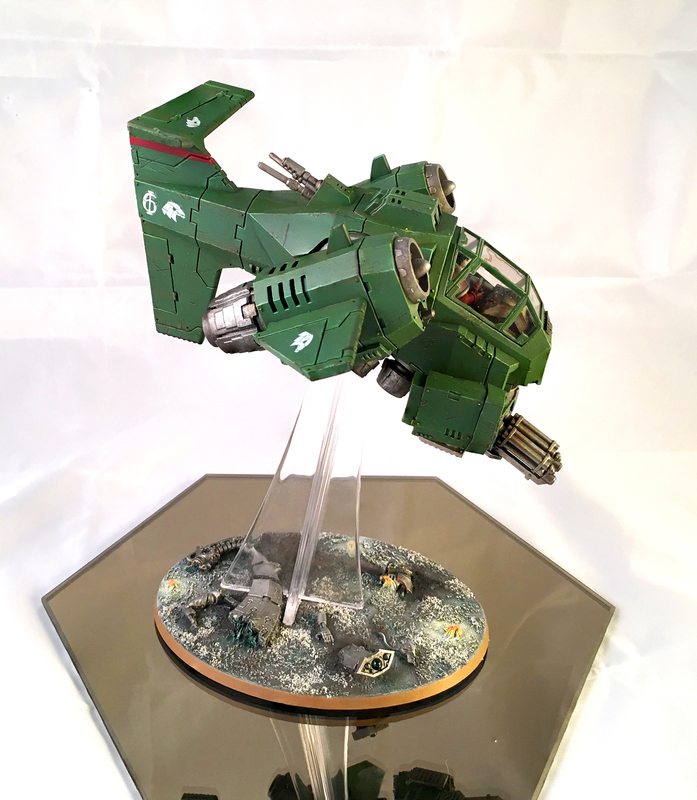 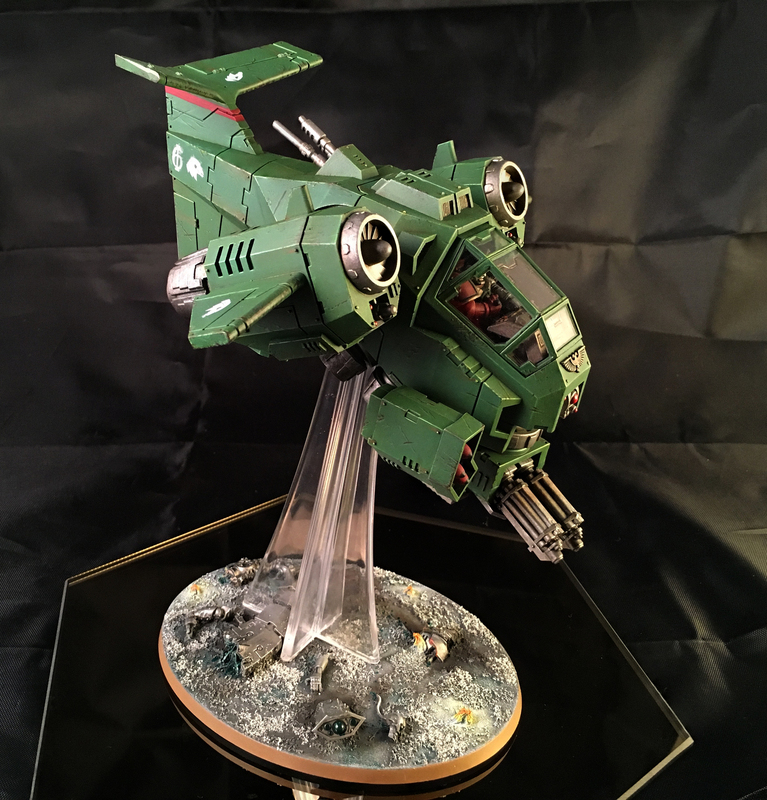 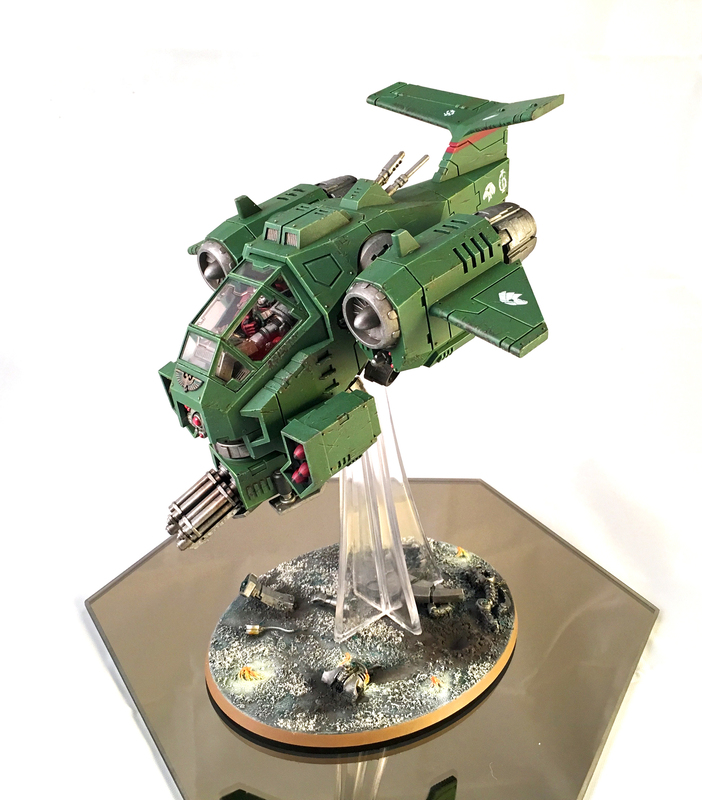 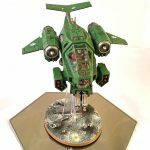 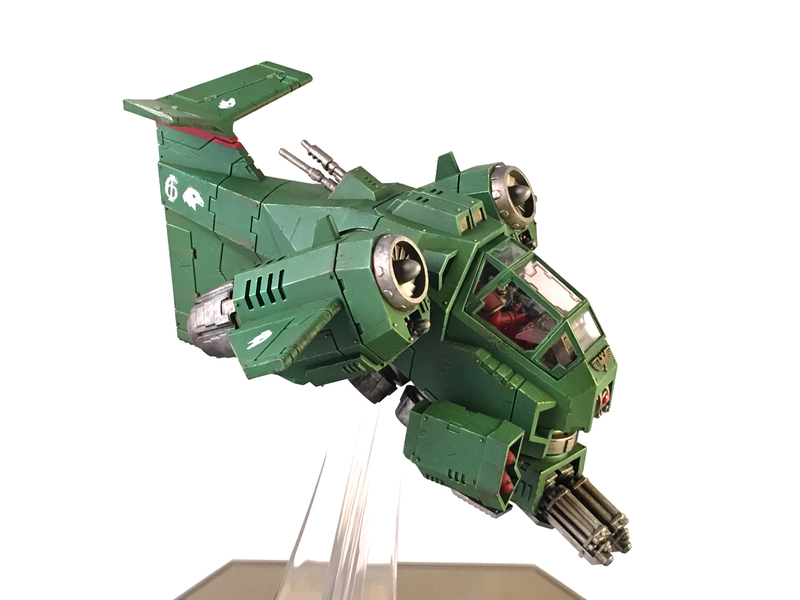 Eagle Eyes Storm Talon: Part 4 – finished! Games Workshop ran a Facebook painting contest to celebrate the release of the new Death From the Skies book, and I had a couple Storm Talons started. 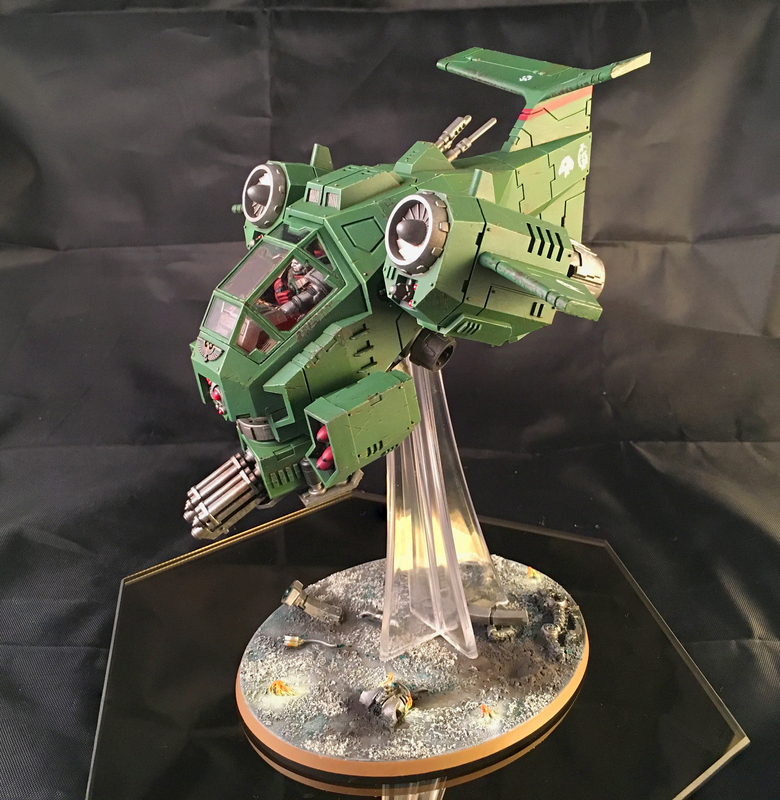 I figured this was a good opportunity to finish a bigger model before my baby comes in a week or two. I went to town on weathering, damage, and the base itself and had a grand time with it. 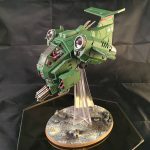 Have a look at the finished pics below. 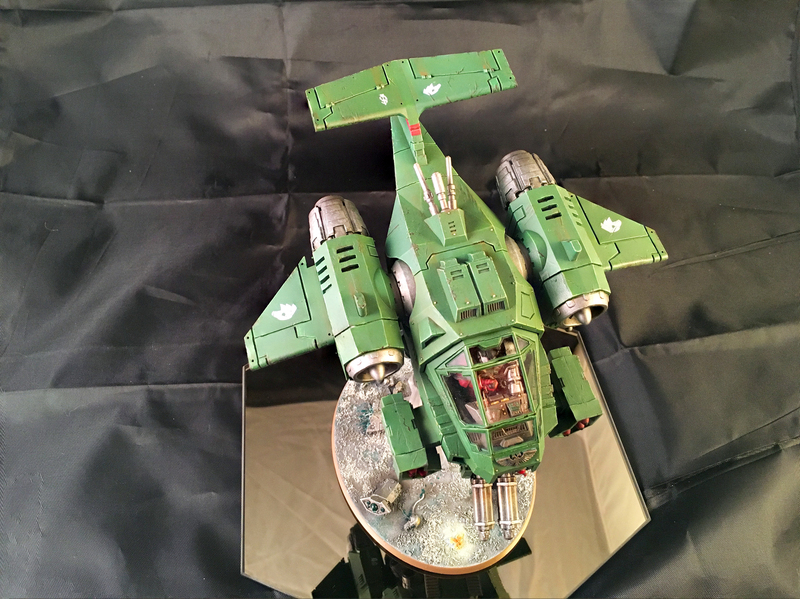 Remember: on this blog you should always be able to click a picture and pan and zoom without it getting all wonky. 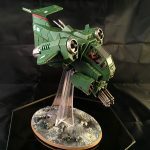 If your device doesn’t let you do that, please let me know in the comments and I’ll look into it. 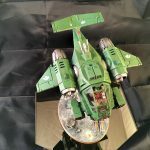 It’s important to me. 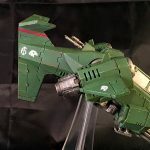 As usual, hit me up if you have any questions or comments.